This Week's Nintendo Download DLC Releases Are Smashing! What could get better than more Super Smash Bros. for Nintendo 3DS and Wii U content AND more Mario Kart 8? This week's Nintendo Download brings some much anticipated DLC. If you own Super Smash Bros. for Wii U or Nintendo 3DS, then you'll finally get a chance to claim the long-awaited Mewtwo as a new fighter. Although those who registed both versions of the game have had the pleasure of psychically blasting their opponents for a few weeks now, Mewtwo will be available to everyone on April 28 for $3.99 on one game, or $4.99 for both versions. If you're like me and bought the Mario Kart 8 DLC bundle way back when it was first available, you've been eagerly awaiting the second DLC pack. Well it's finally here, and it's just as good as the first one. The Mario Kart 8 DLC Pack 2 gives you access to Animal Crossing's Villager (boy or girl), Isabelle, and Dry Bowser, two new cups, and four new vehicles. 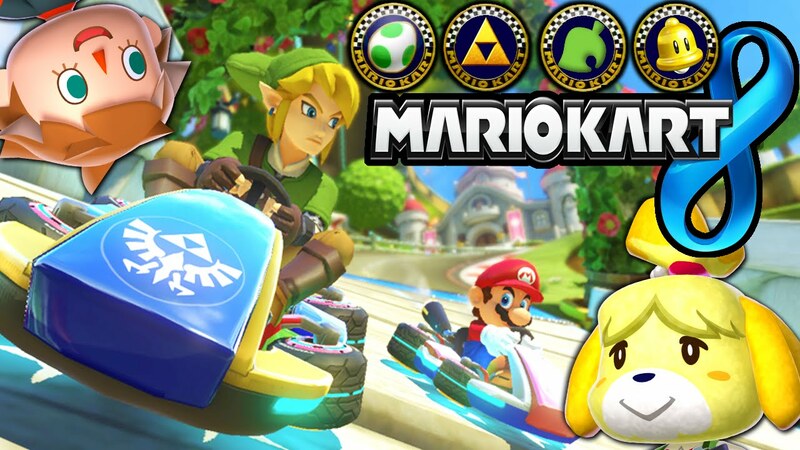 Plus, you'll also receive the new faster, harder 200cc mode. If you have Mario Kart 8, the DLC is a no brainer at a very affordable $7.99 for each pack individually, or $11.99 for the bundle.